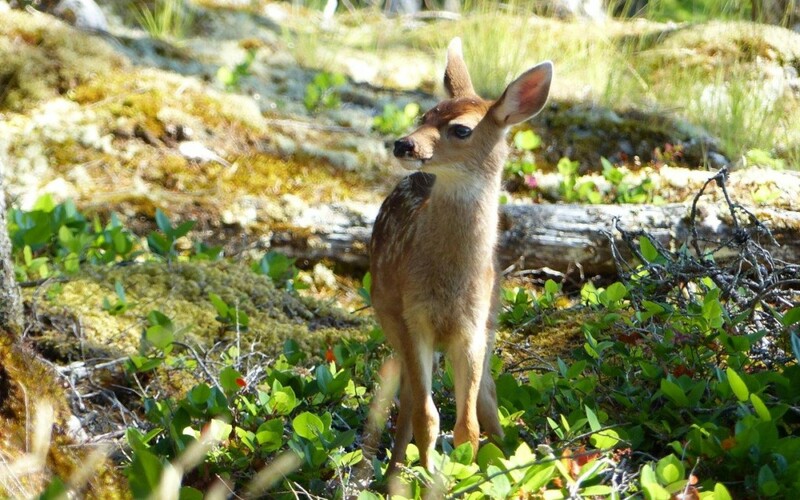 For the average city slicker, the first time you encounter a deer gently meandering through your island property is a magical moment. The first time you discover the tree that you lovingly planted the previous weekend completely denuded of leaves eaten by a deer… not so much. It’s important to note that these plants are deer-resistant, not deer-proof. Deer, it seems, sometimes like to nibble on plants they’re not supposed to like, so despite your best efforts, you’ll have to live with the possibility that nibbling will happen. That said, you stand a better chance of keeping it to a minimum if you plant species they’re not supposed to like. Some allegedly deer-resistant flower species include shasta daisies, salvia, snapdragons, foxglove, and daffodils. For trees and shrubs, look into spirea, boxwood, and dawn redwood. I’m also told that deer will leave most types of ornamental grasses alone. But know that there are no guarantees. In a hard winter, deer will eat species they’ve ignored previously. Your local garden center should have a list of plants they carry that are deer resistant, but there are plenty of websites that list species generally not on the deer’s menu. Check out this one for recommendations for trees, and this one for plants and flowers. The barrier method is considerably more reliable, though it does mean erecting fences around whatever it is you are trying to protect. If you want to keep a vegetable garden, fences are a must. Likewise if you’d like to plant fruit trees, or even give saplings a chance to grow a little before they’re chewed. If you’re looking to protect a sapling, you can wrap plant posts around the tree to create a circle of deer fencing slightly taller than the height of the tree up to 7′. To fence a garden, you’ll have to plant posts as you would for any fence, and then wrap it with the 7′ fencing. One thing to remember is that some deer have been known to jump up to 8′, so it’s possible they might still make it in if they’re determined. Some people use commercial deer repellent products to keep deer at bay. These need to be re-applied regularly — at least once every couple of weeks — which at the end of the day probably isn’t a sustainable practice unless you spend a lot of time at your property.